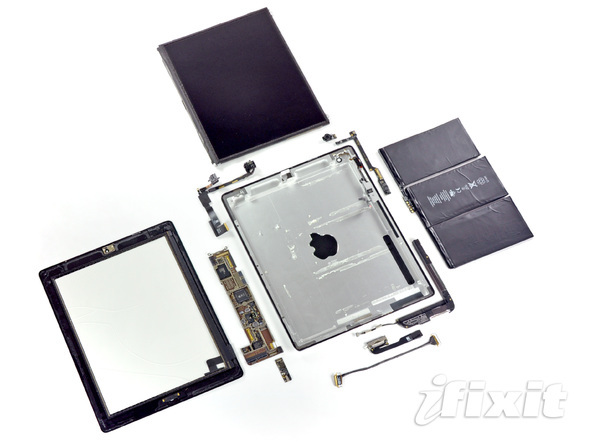 Just in case you missed it over the week-end, iFixIt released their teardown instructions for the iPad 2. Below is a quick video with a rundown of the differences they found between the first iPad and the iPad 2. It is an interesting watch. They gave the iPad 2 a repairability score of 4/10… not the best score… make sure you hold on tight to that iPad 2! You can get the complete teardown instructions on iFixIt’s website. Today iFixit released a teardown guide for the 4th Generation iPod touch. Yesterday in episode 18 of i101 we had mentioned that, according to Apple’s website, the 4th gen iPod touch was going to have a vibrate alert. Today that information is no longer on Apple’s website. It seems that Apple made a slight mistake saying that the 4th gen iPod touch would have a vibrate feature. This was further confirmed by iFixit’s teardown of the device in which they did not find a vibrate motor. Bummer Apple. You can view iFixit’s complete teardown guide HERE.